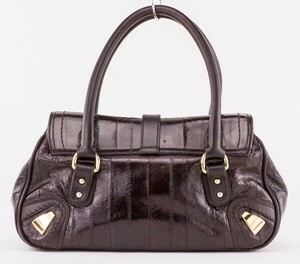 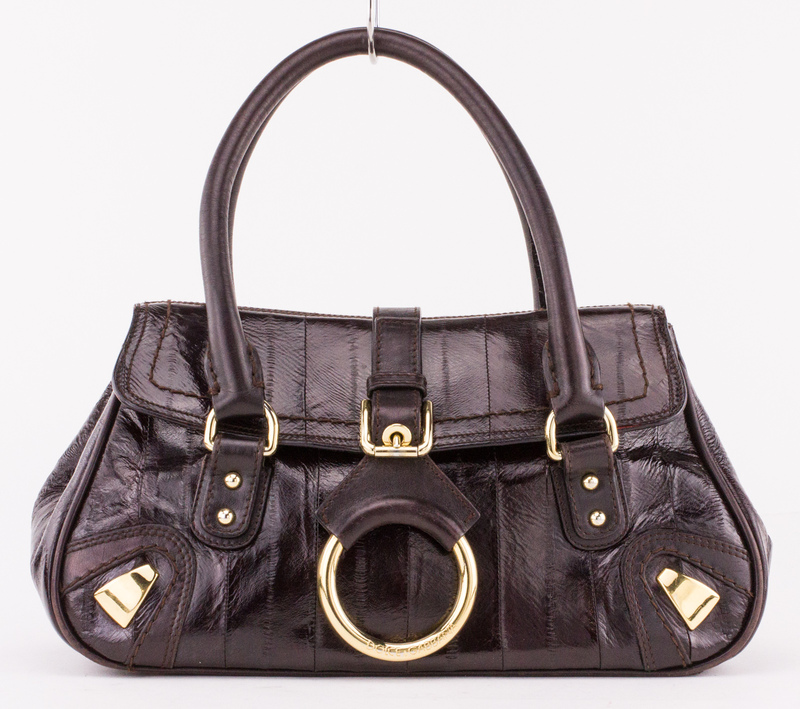 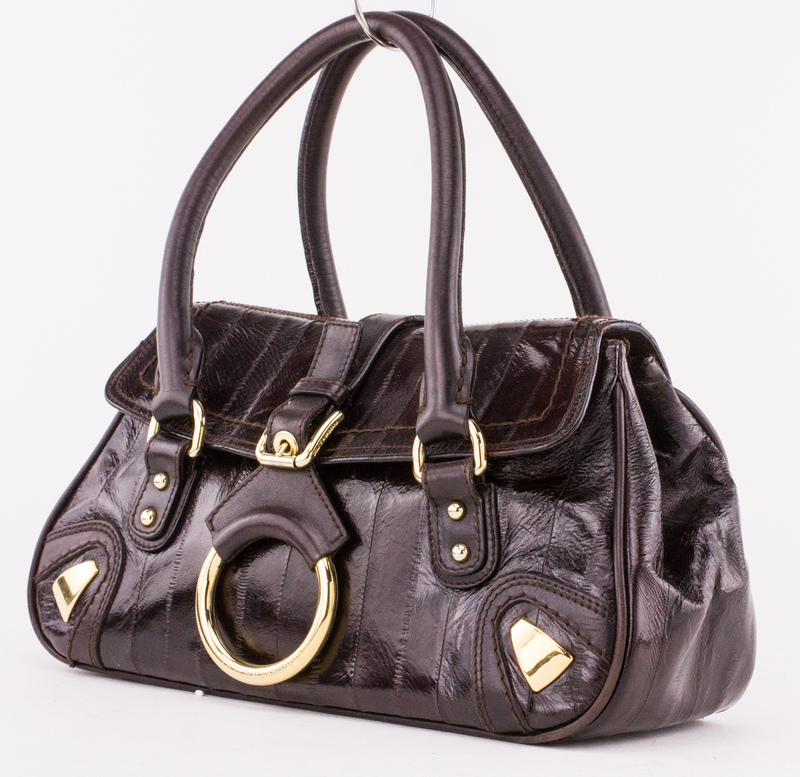 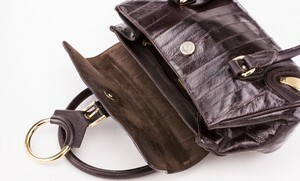 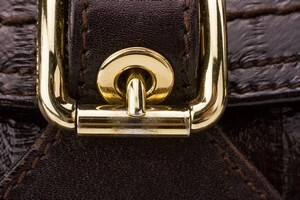 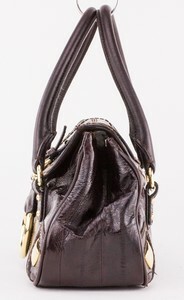 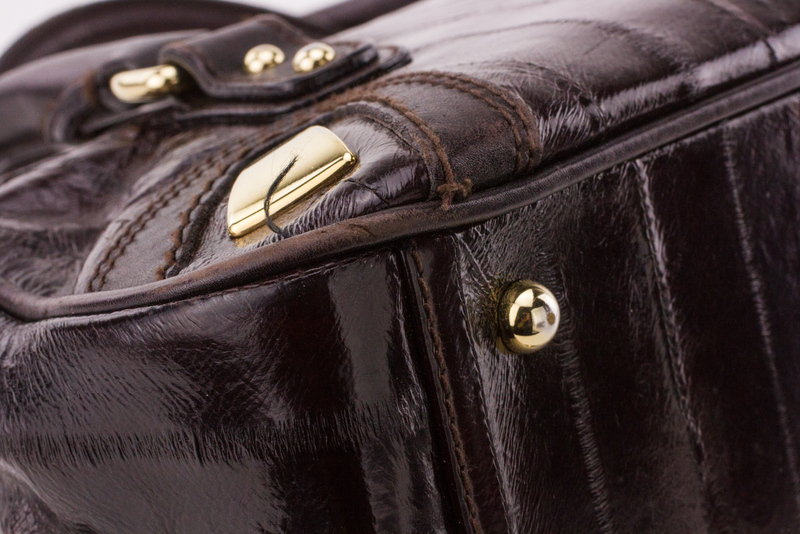 DOLCE & GABBANA Brown Eel Small Flap Bag. 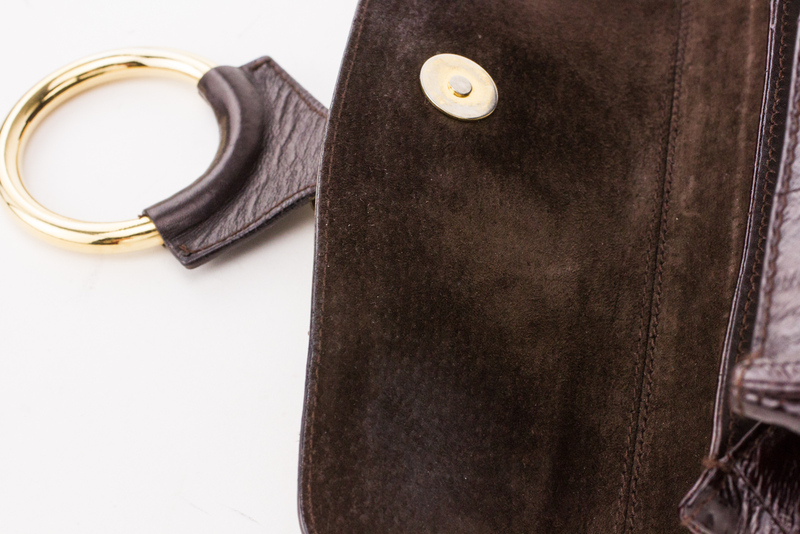 Fabric lining. Gold hardware accents. Made in Italy. 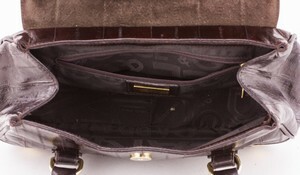 Small scuffs on bottom of bag (see photos). 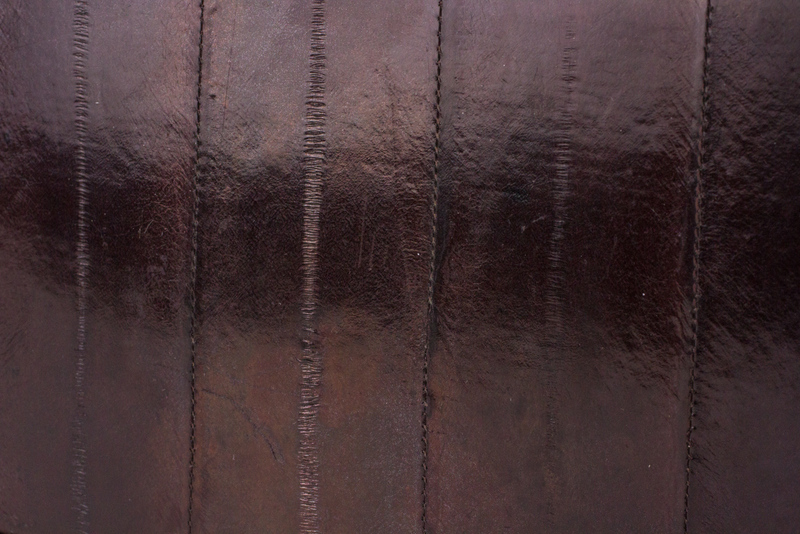 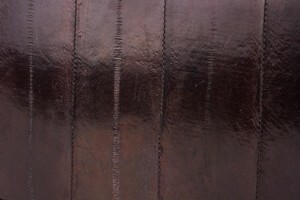 Scuffs on hardware (see photos). 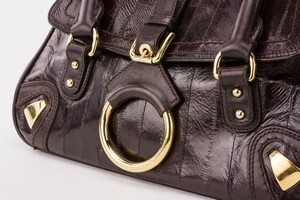 Wear on closure and lining (see photos). 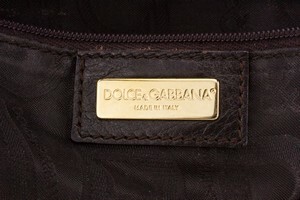 100% Dolce & Gabbana authentic, guaranteed.